Feminist Baby is just learning to talk. She speaks her mind, says what she thinks and it totally rocks! Feminist Baby is back for more adventures, with new friends in tow! This funny and clever board book by two-time Emmy Award-winning author and BuzzFeed contributor Loryn Brantz will have you giggling. My daughters (6 years-old and 2 year old), enjoyed the book a lot, especially for the cute and adorable illustrations and bright colors on each of the pages. The pages of the board book is perfect for little hands to hold and turn. My older daughter was laughing a lot when I read the story to her. 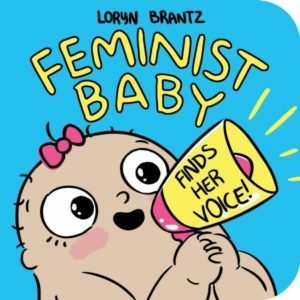 Feminist Baby Finds Her Voice is absolutely witty and charming as each pages will make you laugh as it instills some feminist ideology in your little one. Now that Feminist Baby is growing up, she is starting to talk and not afraid to speak up for what is right. 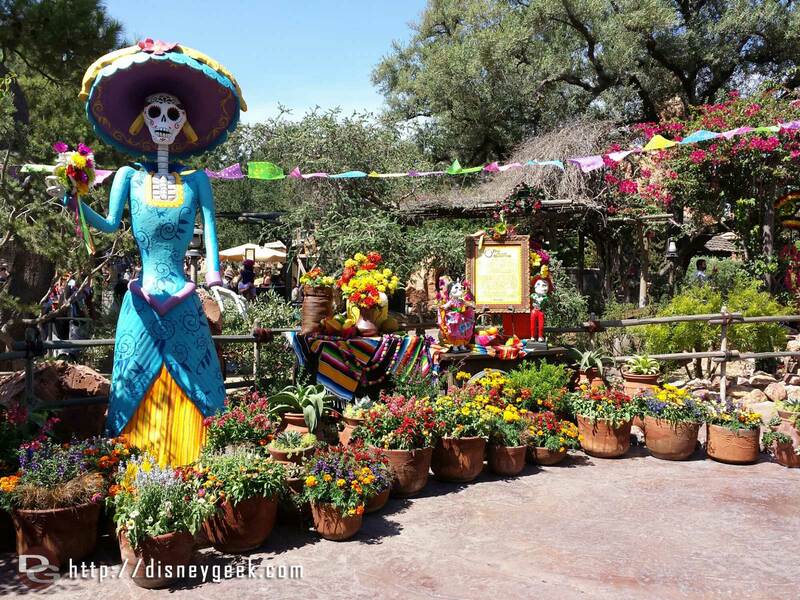 She and her friends help each other to stand up proud and tall and believe in equal rights for all. 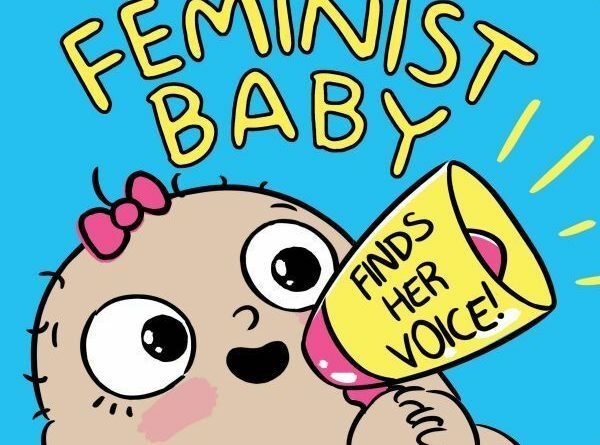 This hilarious story is the follow-up book to Feminist Baby. 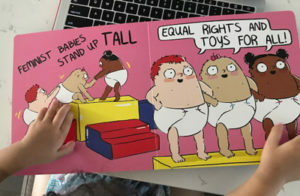 The pictures here are definitely worth more than a thousand words and illustrates feminism in a way where young kids can understand. My daughters and I enjoyed the book and would recommend it for a unique children’s book in your library.